Wearable art! 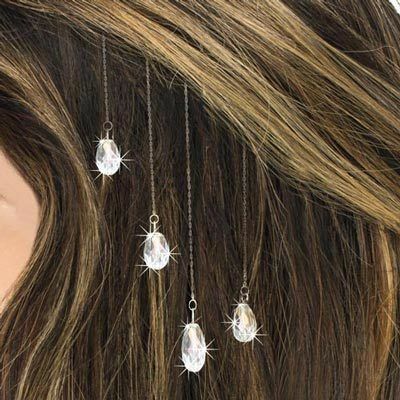 Our charming Crystal Dew Drops Hair Clips shimmer with color and look great with any hair color, length or style. Wear them one at a time or all at once! Delicate silver-tone chain features a faceted teardrop crystal and silver-tone charm. Set of 4. 5"l. Hurry! Quantities are limited!